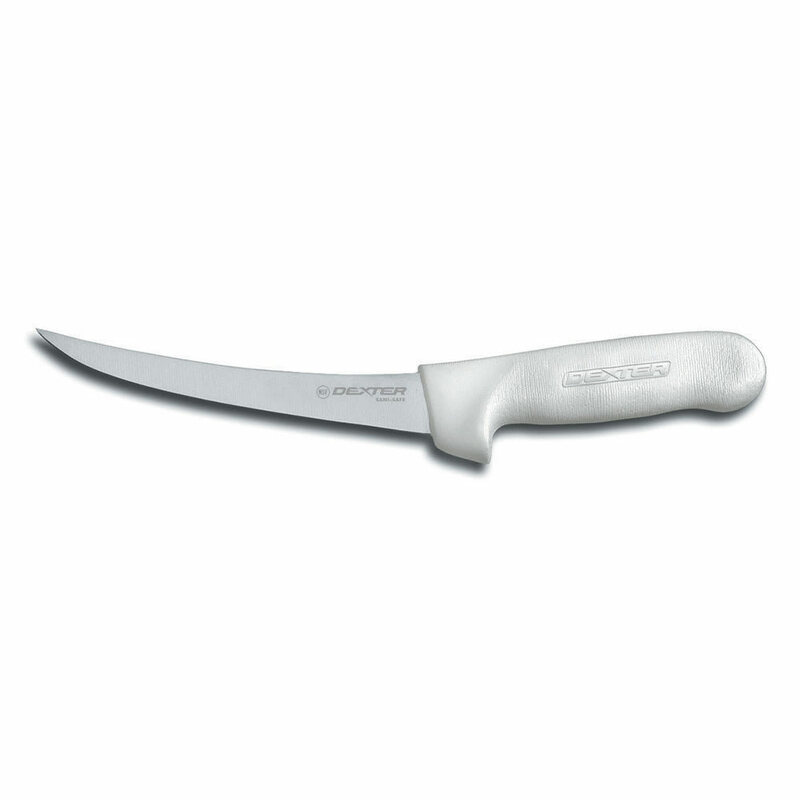 The Dexter S131-5 Sani-Safe® boning knife features a narrow, curved blade that is ideal for cutting meat from around bones and cartilage. Constructed of high-carbon DEXSTEEL™, the blade is extremely hard, which means it can be ground to a very-fine edge should last for a long time. The gap between the blade and handle is sealed, eliminating a space where food matter could be captured and provide a breeding ground for bacteria. 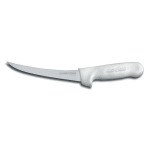 The white polypropylene handle on the Dexter S131-5 Sani-Safe® boning knife is textured for slip resistance, can withstand high and low temperatures, and is easy to clean.